Rarely have internet debates – especially those that have raged on for so long and so passionately – ended as decisively as Flash versus HTML5. Ever since HTML5 was first released as a draft in 2008, the debate has intensified. Right up until 2014, when it finally shifted in favour of HMTL5, and quite definitively too. Then, it was recommended as the standard, by the World Wide Web Consortium (W3C). Some would argue, however, that the nail in the coffin was hammered by Steve Jobs, when he announced that Apple would not support Flash due to its security and performance issues. Whether it was the WC3 recommendation, Apple’s boycott or the adoption of HTML5 by Google and Mozilla (YouTube dropped Flash for HTML5 early 2015), the message is clear: Flash’s heyday is over; HTML5 is the future. There is even a movement against it. Here’s why it’s significant to e-learning, and why you should also make the shift (if you haven’t already). The message is clear: Flash’s heyday is over; HTML5 is the future. There is even a movement against it. While Apple was clear that Flash wouldn’t be supported on iPhones, Android initially did, in opposition. In fact, it was a large part of their marketing message. Yet since the release of Jelly Bean in 2012, Android joined the boycott. This was probably due to Adobe pulling the plug, on support for the mobile Flash player themselves in 2011. And with Google and Mozilla pulling support for the Flash plugin in mid-2015, Flash was simply not viable for mobile devices. While there are still options on desktop PC’s that support Flash, it’s becoming less and less prominent. Looking at the current state of mobile usage (people spend, on average, 3 hours on their phones every day), the future for learning is sure to include mobile, and those devices are sure to exclude Flash. 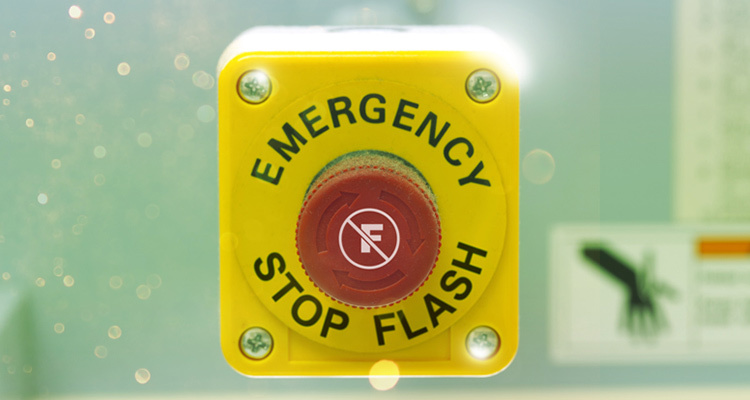 Combine that with the significant rise in mobile-based learning methodologies, and the argument for why you should move away from Flash is clear. One of the major reasons that Flash has gotten the boot, from the mobile device, is its high consumption of resources. But that isn’t to say that it is confined to the mobile arena. Want to take a guess at how much of your PC’s resources are taken up by Flash? While this number is based on an independent test and is subject to many variables, it doesn’t bode well for Flash. For companies using terminal PC’s for their employees – and many enterprise corporates do – it’s even worse; that kind of load can cause frustration. Frustration is the last thing you need when trying to encourage employees to complete training. Let’s face it, it’s hard enough as it is. Hackers love Flash, or rather its vulnerabilities. Hackers love Flash, or rather its vulnerabilities. Due to a myriad of bugs and outdated processes (I am not going to go into the technicalities here, but if you’re interested to read more about it here), hackers have ample opportunities to gain access to your PC’s memory, and to gain control of the machine from there. If you are an agency, the last thing you want is for your e-learning modules to be the reason that your client is hacked. If you’re a business, the last thing you want is to be hacked at all. I’m sure there is no longer a need to convince you that Flash is probably not going to be the go-to format for the future. So, if you’re still producing Flash modules, stop. Now. While producing e-learning content costs significantly less than traditional learning, with the future in mind, spending resources in order to create modules that have already been produced is not ideal. Many businesses simply don’t want to start from scratch when their Flash content is no longer operational. Converting modules to HTML5 can alleviate the costs involved. This not only gives the content a longer shelf life but also protects the investment that has already been made. Lastly, Flash e-learning content requires an online connection to access. Despite the fact that most connections are online, there are still some situations which call for offline training. Many airlines in South Africa, are still internet-less, for example. While it isn’t the biggest reason to convert, it’s still a valid one. As an e-learning company, we are more than familiar with the constraints of Flash and have opted for HTML5 over and over again. This ensures that our content is always as accessible as it is engaging. Don’t let the past constrain you.